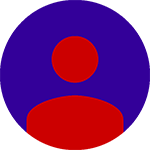 Including 10 MOCK TEST as like Group 1 Exam |Questions in தமிழ் & English – 1 FREE Mock Test. Step 1 : Click “Add to Basket”. Step 3: Pay Online using Credit/Debit/Net Banking etc. 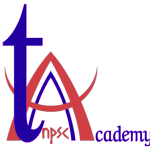 For Offline Payment: Mail us at tnpscacademy@gmail.com | WhatsApp: 7904000029. You will receive instant PDF of the Tests upon successful payment. You will get the PRINTED TEST MATERIAL through courier within 4 to 5 working days. Thanks sir, i received package within 2 days. It was really awesome. OMR sheet is very useful. entire package i received in good condition. Really its worth for money. Very good sets of questions for practice. Completely helpful. Very good really very good. Thank u soo much TNPSC ACADEMY for ur great hardwork. Postal test series method is very helpful. You are welcome. All the best for your preparation. Tnpsc Acedamy group 1 postal test series book material was very help to study group 1 exam, And give more confident to write Tnpsc Exam .Thank you for your services..
You are welcome. And Thanks for your valuable review of our test series. Very glad to hear from you. All The Best.